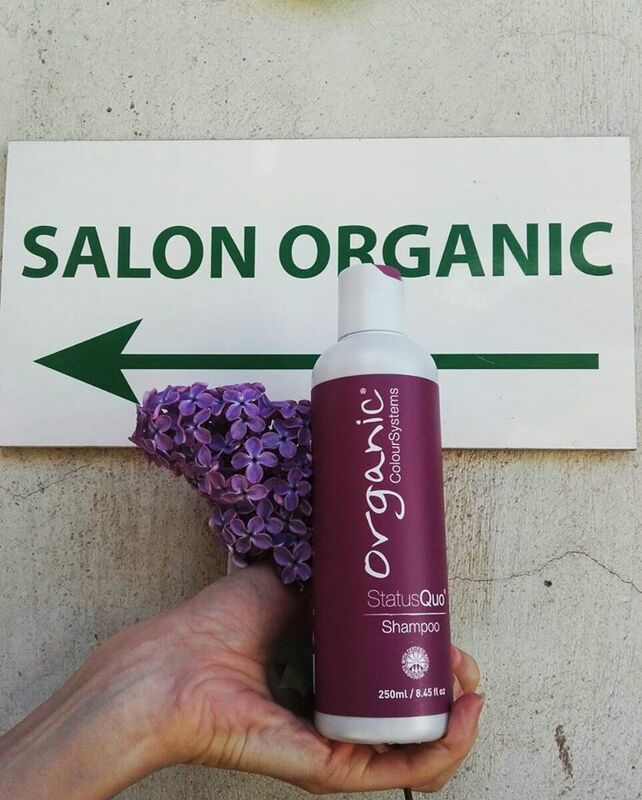 Status Quo uses certified organic chamomile, comfrey and vitamin B5 to maintain your hair’s natural balance, shine and condition whilst protecting it from UV damage. Designed to maintain healthy hair, improves color retention and gentle enough for everyday use. 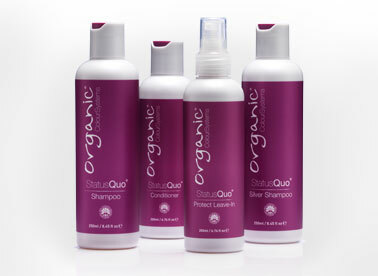 Status Quo Shampoo is formulated with the latest natural ingredients for a mild, gentle wash. It is suitable for daily use. Status Quo Silver Shampoo is a gentle shampoo for use on pre-lightened hair and white/gray hair, in order to maintain a clean, clear color. The violet tones in this shampoo reduce unwanted orange/yellow in hair. This protein and moisture-based shampoo is pH balanced to keep the cuticle closed, enhancing shine. Status Quo Conditioner helps to maintain the hair’s natural protein and moisture balance and provides protection against UV damage.